Home / 2016 / Three Rivers Run – Day 1 – Home to Kandos. Three Rivers Run – Day 1 – Home to Kandos. We didn’t really have a lot of notice that we were going to be able to take leave, so after some hasty preparations and packing on Friday night, a medical appointment on Saturday morning, some more packing, re-arranging and trying to double check that we had everything without actually taking the entire house with us, and a few hiccups, we were off. Just to make sure we hadn’t forgotten anything we did a quick pitstop along the expressway. We had set our destination for Kandos and made our way through Goulburn River National Park, which is usually where see a bunch of kamikaze wombats, weirdly, and somewhat almost disappointingly today we didn’t! We made a quick pitstop for the facilities at the picnic area. As we made our way up and over the mountain range the temperature continued to drop into single figures, and we knew that we were in for a cold night. We arrived at our nominated camping spot – a free camp near the old Kandos station at about 6.30pm. 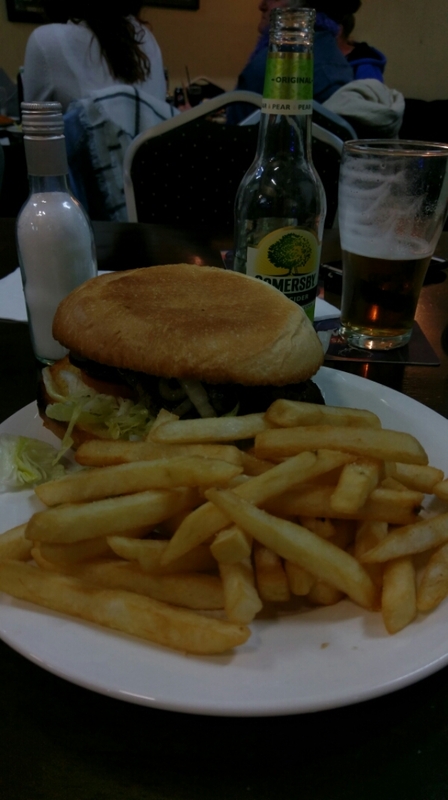 We decided to test drive the pub across the park for dinner, and it didn’t disappoint. We even got a free band – both at the pub and when we got back to the van! A quick cuppa before we retired for the night listening to the band and locals rock on.